Astronomical and cosmological observations indicate the existence of dark matter, but we do not yet have a description in terms of fundamental physics. The hunt to place dark matter within the framework of particle physics is an exciting frontier that has changed the way we search for new physics. I present some exciting new directions beyond the conventional "weakly interacting massive particle" paradigm. Philip "Flip" Tañedo is a particle physicist at the University of California, Riverside. He grew up in Los Angeles and fell in love with physics after reading The Physics of Star Trek. This carried into degrees in mathematics and physics at Stanford, Cambridge, Durham, and a Ph. D. at Cornell. After a postdoctoral stint at UC Irvine, he is currently faculty at UC Riverside where he is known for being covered in chalk dust after a long day's work. P. Tañedo. 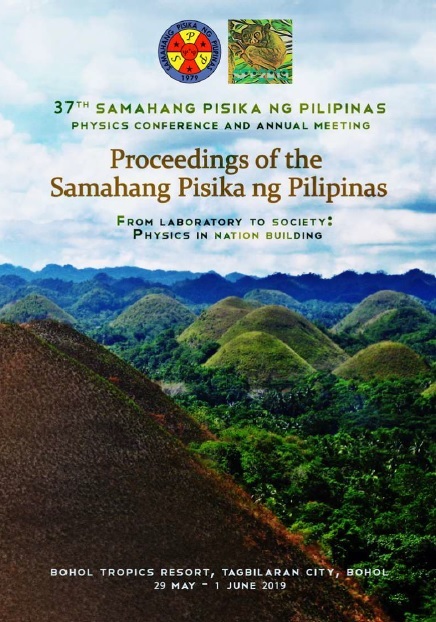 The dark frontier of particle physics, Proceedings of the Samahang Pisika ng Pilipinas 37, SPP-2019-INV-3C-01 (2019). URL: https://paperview.spp-online.org/proceedings/article/view/SPP-2019-INV-3C-01.